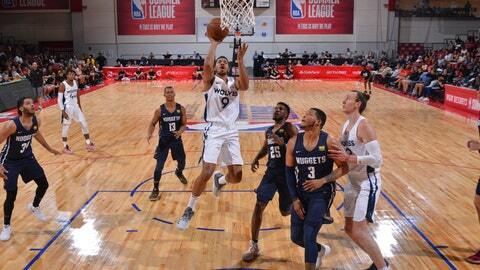 Despite a late run and comeback, the Minnesota Timberwolves opened the NBA’s Las Vegas Summer League with a 70-69 loss to the Denver Nuggets. Isaiah Cousins, who spent the majority of last season with the Salt Lake City Stars, led the Wolves with 15 points. Draft pick Keita Bates-Diop added nine points and seven boards, while Josh Okogie, drafted with the 20th overall pick, led the team with four assists to go along with 10 points. After dominating the G League in Iowa last season, Amile Jefferson scored 12 points and led the team with 14 rebounds. Starting five: Minnesota started Bates-Drop (SF), Andrew White III (PF), Amile Jefferson (C), Okogie (SG) and Jared Terrell (PG).